A sector already reeling from the chaos surrounding Brexit could now face further serious challenges and potential hardship, the Chief Executive of the Killybegs Fishermen’s Organisation (KFO) has warned, commenting on the annual meeting of the Council of Fisheries Ministers currently in progress in Brussels. He said that the all-too-real possibility of a hard Brexit and the potential subsequent implications for fisheries after March 29th next year casts a very dark shadow over these Fisheries Council quota negotiations. ‘While we had been quite encouraged by the first tranche of documents delivered by the negotiating teams and subsequently approved by the UK cabinet, we are now very concerned in light of developments in the UK that there is a real possibility of a hard Brexit after March 29th. It is crucial that the Council, in reaching agreement for the 2019 fishing opportunities make a clear and unequivocal statement that these arrangements apply for the entire 2019 calendar year, irrespective of what happens with Brexit,’ Seán O’Donoghue said. He said that the landing obligation which enters its final phase in 2019 when all species subject to TACs and quotas become subject to Article 15 of the Common Fisheries Policy is a major concern to the KFO and the wider industry. Seán O’Donoghue commented that the prospect of choke species paralysing the Irish fishing industry is a very credible threat with knock-on effects for a vast array of sustainable fisheries, hitherto able to function normally, being caught in the slip-stream. ‘Implementation of the landing obligation, as laid out in the Commission’s proposals, will have large negative consequences for Ireland’s whitefish and pelagic sectors as the “choke species” factor could trigger closure of most fisheries in the early months of 2019,’ he said. This year’s Council of Ministers is over following the usual gathering in Brussels. In broad terms, in 2019 there will be 59 fish stocks that are managed at MSY levels, some TACs have been increased, others cut, protection measures are in place for eel, bass remains a huge headache and the landings obligation comes into force on 1st January. This year’s negotiations were intense, leading to agreement on the main commercial stocks, and with decisions based on a strong commitment to the objectives of the CFP of environmental, economic and social sustainability, and with the council largely confirming the European Commission’s initial proposals which were for increased or unchanged TACs for 62 stocks and reduced TACs for 22, plus new by-catch quotas set at low levels for eight stocks so as to reduce the fishing pressure. Increases have been applied to a number of stocks, including plaice in Skagerrak/Kattegat, southern hake, western and southern horse mackerel, cod, sole and plaice in the Irish Sea, and sole and megrim in the Bay of Biscay. The issue of choke species in mixed fisheries has been addressed through enhanced inter-area and inter-species flexibility. A new quota exchange mechanism was created for member states without a quota for by-catches in five fisheries; cod in the Celtic sea and west of Scotland, whiting in the Irish sea and west of Scotland, and plaice in the south-western part of Area VII. The milestone about to be passed in a few weeks is the full implementation of the discard ban as of 1st January. ‘As of 1st January 2019 we finally say goodbye to the wasteful practice of discarding fish,’ said an optimistic President of the Council Elisabeth Köstinger, Austria’s Federal Minister for Sustainability and Tourism. Protection has been extended for European eel with mandatory closures agreed for 2018 to recreational fisheries and glass eel fisheries. These measures will cover brackish waters such as estuaries, coastal lagoons and transitional waters, and will ensure consistency with the measures on eel in the Mediterranean Sea. Commercial fishing for northern sea bass will remain prohibited with some exceptions, taking into account the positive developments reflected in the scientific advice and with bass fishing measures geared towards small -scale hook and line boats. It was decided that bass catches can be increased to 5.50 tonnes/vessel for hooks and line fishery, to 400kg for two months for trawlers, to 210kg for seiners, and 1.40 tonne per year for fixed gill net vessels. For recreational fisheries the bag limit remains at one fish per day but for seven months. Meeting in Brussels this week, the Fisheries Council reached agreement on the catch limits for 2019 just two weeks before the latest and toughest phase of the landing obligation comes into effect. Europêche managing director Daniel Voces said that the European Commission had set out proposals for some stocks that were below the levels recommended by scientists, but Ministers adopted a better- balanced decision that will allow to catch more fish while respecting the sustainability of the stocks in the long term. ‘The positive results yielded, thanks to the sacrifices made by the industry over the past decade, may be however compromised by the quick fixes and patches adopted to try to implement an ill-conceived landing obligation for the complexities of the European waters,’ he said. ‘The final phase of the landing obligation is just a couple of weeks away and all species subject to TACs will have to be landed. Fishing vessels with low or no quota for certain species will have to cease fishing even if they still have quota for other species in the same area. In order to mitigate the impact, the Council has adopted inter-area and inter-species flexibilities as well as new quota exchange mechanisms,’ he explained. ‘The result achieved is a step forward in the right direction to implement the landing obligation and mitigate some potential choke risks. However, all the new flexibilities and tools adopted by EU legislators to try to implement this policy will create legal complexity and uncertainty to our fishermen. Only through practical experience we will be able to learn if these measures will be capable of resolving some of the many problems caused by the landing obligation. All our fishermen want to meet the objectives of the CFP and ensure the sustainability of fisheries, but we must have workable solutions and full support from the public authorities to meet those targets,’ Daniel Voces said. ‘On a positive note, the steady progress towards sustainable fisheries in the North East Atlantic is remarkable. The ambitious agreement will increase the number of stocks fished at MSY levels to 59 next year, compared to only 5 in 2009. Even more importantly, next year close to 100% of the expected landings will come from TACs set in line with MSY. This clearly shows that for the main stocks in the North East Atlantic, the end of overfishing has become a reality,’ he said. Commenting on the specifics of the December Council, he said that the EU fishing sector welcomes the increases in North Sea saithe by 16% and monkfish by 25%. Concerning Northern hake, although the TACs could have been more ambitious, the Council decided to raise them on average by 26% for all these areas. In contrast, opposite to last year’s increase, the Council adopted steep reductions for whiting by -49% and cod by -35%. ‘Even with the biomass being above the MSY trigger in the North Sea sole stock, the Council adopted a cut of 20% which will certainly hit fishermen’s pockets,’ he said. He said that Europêche welcomes the quota increases for anglerfish in the Northern Celtic Sea (25%) and Southern Western waters (5%), which contrasts with TAC cuts in areas VII (-2%) and VIII (-7%). As for pollack in these areas, the EU has decided to maintain the same fishing quotas for next year. ‘Following the TAC reductions adopted last year, great news for megrim stocks which see TAC increases up to 47% in all Northern and Western water areas,’ he said. In the Skagerrak, the TAC for cod is strongly reduced by 47%, despite the positive trend of previous years. However, the TAC for plaice is increased by 9% in this area. Following the agreement reached with neighbouring North-East Atlantic nations, herring has shown poor performance which led to TAC cuts in many areas such as North Sea herring (-36%). Horse mackerel is better placed since for most areas the Council decided to increase the quotas by up to 69%. Blue whiting will see a reduction of 18%. Mackerel is not in the best shape since there are generalised TAC drops (-20%). In general, the industry is increasingly worried about the performance of the scientific body ICES when providing advice for pelagic stocks, including mackerel. The Council has decided to keep the northern sea bass ban for commercial fisheries although with certain derogations. In addition, the Council has extended the prohibition to fish for European eel of an overall length of 12cm or more in Union waters for recreational fishermen. European fishing industry body Europêche is taking steps to highlight the importance of the fisheries sector as a major food source, the basis of the livelihoods of millions of people and a driver for sustainable growth, ahead of European Parliament elections in May 2019. Europêche has issued a reminder to political groups of the importance of the sector in Europe that brings about numerous benefits for the coastal and rural economies. ‘Fisheries as an EU exclusive policy, demands people with a sense of responsibility, technical competence and expertise to take sound decisions based on the best available science.’ Europêche managing director Daniel Voces said. According to Europêche, in some European coastal communities more than half of the local jobs are found in the fishing sector. Regarding food security the EU fishing fleet catches almost five million tonnes of fish a year, equivalent to 48 billion meals a year, enough to feed everyone in the European Union 96 times. ‘The EU has a responsibility towards the sustainable and responsible use of its resources, including food supply,’ he said. ‘Fisheries management is not child's toy,’ he said, commenting that managing fisheries responsibly involves and requires expertise on complex scientific data, intricate technical and control measures, compound rules on access and quota distribution, intertwined safety and labour standards, multilateral trade and international partnership fisheries agreements, environmental legislation and cross-sectoral marine governance. ‘We have many challenges ahead of us for the next legislative term,’ he said. 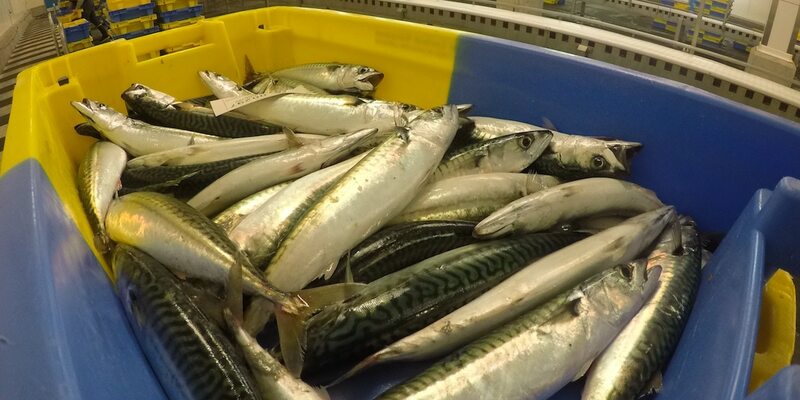 The publication last week by ICES of a report that reviews the methods used in the 2018 Northeast Atlantic mackerel stock assessment, concluding that there were flaws in the methodology due to issues with the tagging data, has been welcomed by SFPA chief executive Ian Gatt. According to the ICES report, the stock size is assessed to be much greater at 4.16 million tonnes than the previous 2.30 million tonne estimate. ‘We welcome this rigorous independent scientific reassessment by ICES and it comes as no surprise to us that the stock abundance of Northeast Atlantic is much greater than previously estimated, which also aligns with what our fishermen are seeing on the fishing grounds,’ said Ian Gatt, chief executive of the Scottish Pelagic Fishermen’s Association.